Friends and fellow fans over at Reprolabels have sent us their latest newsletter, and included a very special Wheeljack deal to celebrate their 15th birthday - check it out below! We introduced our product by offering our G1 Wheeljack labels for FREE. Now, for the new MP version, we are doing the same sort of thing! Everyone can add it to their cart for just ONE CENT. It is our way of thanking customers and inviting everyone else to see how far we've come. I will pick up the Jetfire set. Looks very nice, cant wait to add the final touches to him. Huh... I cannot help but feel a bit strangely underwhelmed by the Jetfire set. It adds some nice detail, but the giant block of red it adds to the wings seems overkill. (Yes, I am underwhelmed by overkill. Go figure.) And the awkwardly executed white nosecone. (When Jetfire's nosecone is supposed to be red, anyway!) That isn't to say that I always feel I have to use every sticker in a Reprolabels set... but I like the ratio of used to unused to be a bit more in my favor for the purchase to be cost effective. I do like some of what they added. But it is in the subtle detail. With the larger details, I really feel they rather missed the mark. For what I'd use from this set, I in no way feel I'd get my money's worth for $21.00. Disappointing, as I was looking forward to seeing what they did with Jetfire. Crosscut: undecided. Not a fan of the "steel plate" designs, and I wanted to make him different to skids, so I used the optional G1 stickers from the skids set on him, so this set doesn't really bring anything new for me. So, is the free nano-symbol promo already over? It's been a few years since I ordered from them, so I forgot the rhythm of the giveaways. uhhh... i dont wanna stir up any trouble.. but this is 3P news. i thought seibertron didnt support 3P stuff? Already have the Ocean WJ set but got the WJ 1 cent promo + the Crosscut upgrade. Great offer Reprolabels! Yotsuyasan wrote: Huh... I cannot help but feel a bit strangely underwhelmed by the Jetfire set. It adds some nice detail, but the giant block of red it adds to the wings seems overkill. (Yes, I am underwhelmed by overkill. Go figure.) And the awkwardly executed white nosecone. (When Jetfire's nosecone is supposed to be red, anyway!) That isn't to say that I always feel I have to use every sticker in a Reprolabels set... but I like the ratio of used to unused to be a bit more in my favor for the purchase to be cost effective. Hopefully the label for the panel would be a soft vinyl type. Wished they included the RB type military deco details like those seen in aircraft model kits. I too am underwhelmed but still pleased this set is out, especially the forearm covers...keen to see how they last. I'm getting the Legends version so these will probably look awful...does anyone know if Reprolabels has done sheets for Japanese-retail figures before? 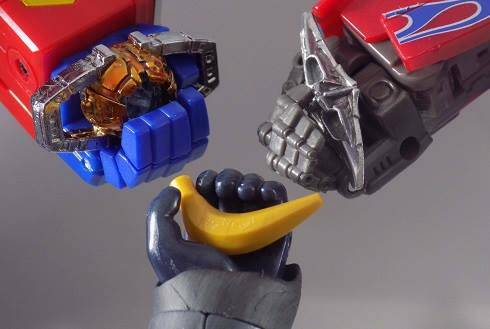 RotorstormNZ wrote: I'm getting the Legends version so these will probably look awful...does anyone know if Reprolabels has done sheets for Japanese-retail figures before? Why would they look awful? Is there that much of a difference between the decos other than the obvious differences in the armor parts? I mean, it isn't as if the Takara version is going to be a purple with yellow polka dots jet with hot pink armor parts! Reprolabels has on very rare occasion done different sets. I recall Drift, for example, has two options to order, one for the Hasbro version and one for the Takara version. 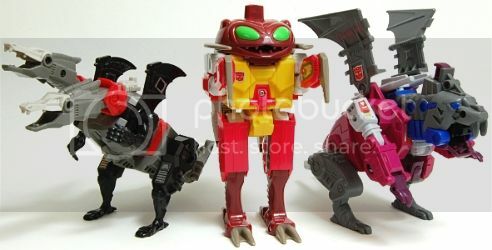 I seem to vaguely recall something similar for a Micromaster team, as well. So it is possible. I just don't see Jetfire being in need of such a thing. I was thinking in terms of the shiny red stickers - they would defeat the (my) big reason for going for the TT version. (We don't get Jetfire at retail and importing both figures would be the same cost, just a longer wait for Legends). News and Rumors: Reprolabels.com December update! Check out this month's awesome new sets! Wrapping up our TF themed sets, is the much-needed missing details for Movieverse Hot Shot, which provide him with the cancelled Tracks flames! And we haven't forgotten about our MMPR section either, bringing you this luxurious set for Legacy Dragonzord! Finally, we've announced a new free give away set: With every $25 you spend on TF related sets, we're giving a giant set of these new holographic "glow" symbols... yes, they're ACTUALLY prismatic! And fair warning: this is the FINAL day for the 1 cent set for MP Wheeljack. This will be going up to full price. Why is it that for, it seems, ages now, there hasn't been a Generations (Classics) style sticker set without this kind of detail? I swear, stickers with this kind of detail have actually stopped me from buying some Reprolabels sets that I might have otherwise wanted! I'm guessing it is kind of an IDWish detail or something. 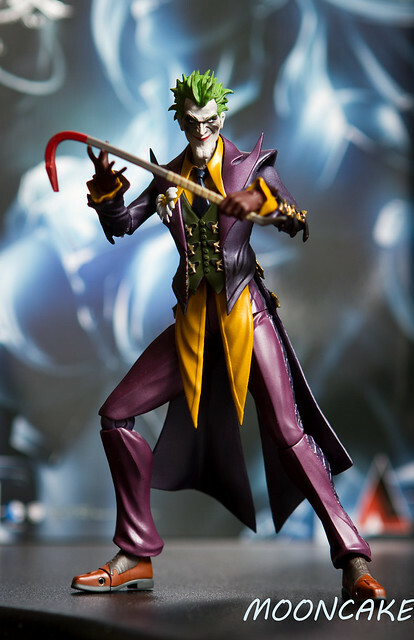 (I dunno, I haven't read the comics... not even the ones that have been included with figures I've bought!) All I know is that it looks really out of place to me in my G1 based Classics style collection. I know I could just leave those stickers off... but I don't want to be buying sticker sheets just to be throwing out half the stickers I'd paid for, and having bare spaces left on my figures that could have used a little something extra! Occasionally they advertise a set as containing alternate stickers without that detail, but that seems to be a minority. But even then, I feel like I'd be buying sets with an inflated cost because of all of the superfluous stickers! Are these weirdly detailed stickers ever going to go away? 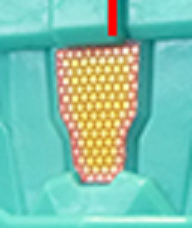 Ever since the WFC/FOC game designs, cybertronian versions of the characters in the comics have had those glowing spots - so this'll make Branstorm more media-accurate atm, but iirc, the skids set had a more "G1" set of labels instead of the "glow" - s may happen here too? prjkt wrote: Ever since the WFC/FOC game designs, cybertronian versions of the characters in the comics have had those glowing spots - so this'll make Branstorm more media-accurate atm, but iirc, the skids set had a more "G1" set of labels instead of the "glow" - s may happen here too? Yotsuyasan wrote: Occasionally they advertise a set as containing alternate stickers without that detail, but that seems to be a minority. But even then, I feel like I'd be buying sets with an inflated cost because of all of the superfluous stickers! We're very proud to show you this month's update, which is the result of an unprecendented amount of effort! We've added game-changing sets for several Combiner Wars figures: Optimus, Skydive and Firefly! New MP sets, including an inspired set for Ultra Magnus, and a great set for Bumblebee too! Even with that detailing, though, I have to admit that the Reprolabels do do wonders for Optimus. Especially his vehicle mode, covering up the unpainted grey areas so that he has a more consistent look! Although I do kind of like the original blue windows better... But, unless they have some optional stickers that they aren't showing in their sample images, if I want to fill in the unpainted windows, I'd have to go with black. Still, overall it seems a set that would just be worth it. So where is the set to make Alpha Bravo more G1 acurate? That jetfire set is pretty sweet but it's still missing a lot of stickers I want to make it more G1. They need a true G1 accurate set. But they got closer with this maccros release. Bought the Arcee set. Super cool. They're putting out some great sets lately! Motto: "I dislike fools and villains. And you seem to be both." That Prime set looks really, really good. Such a great update to an already decent figure. These sets just keep getting better and better.